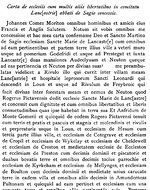 Cartulary: Materials for the History of the Church of Lancaster. 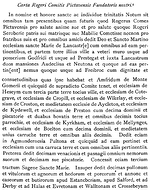 Registrum Chartarum Monasterii B. Marie de Lancastriae. Volume 1. William Oliver Roper. Chetham Society. Chetham Society V.26 New Series. Manchester. 1892.